Somaliland has been independent since 1991, yet again, the world seems to have forgotten about this country. This is strengthened by the refusal by neighbouring countries and the African Union to legally recognise Somaliland and to treat it as a regional problem. In the wake of labelling Somalia as a failed state, the international community considers the 3.5 million Somalilanders as stateless, shutting them off from the rest of the world and, in the long term, from prosperity. If the world really wants peace and stability for Somaliland, then the country will need to receive some form of legal recognition and an infusion of development aid. On May 18 of this year, Somaliland turned twenty-five. Yet the anniversary is cause for a bittersweet celebration at best. Peace has improbably reigned since this enclave of the Horn of Africa obtained de facto independence in 1991. During those two and a half decades, the world has forgotten this unlikely outpost of functioning government, which has run free democratic elections since 2003 embedded in the chaos of the failed State of Somalia. As a result, 3.5 million Somalilanders have been raised stateless, victims of a legal asterisk that shuts them off from the world and—by extension—prosperity. The African Union, based in neighboring Addis Ababa, is reluctant to grant Somaliland recognition. The AU and Ethiopia fear to trigger claims to independence in Africa, but in particular in the Ogaden region, whose independence claims it has long sought to stifle. Ethnic Somalis live in the Ogaden region and an unrecognized Somaliland has the dual benefit of weakening Somalia—Ethiopia’s rival—and Somaliland, whose roads the Abyssinian state uses paying minimal taxes to reach the port of Berbera in the Gulf of Aden. Yet, if Somaliland is to prolong its precarious peace and stability, it will need some form of legal recognition and an infusion of development aid. Donors should be eager for one of two things: a rare development success story that beats the odds put forward by the United Nations and could serve as a model; or shoring up a place home to two million people between the ages of fifteen and twenty-five that is currently a bastion against terrorism but could morph into a buzzing hive of it. In a region beset by turmoil, Somaliland is one of the few places that repeatedly proves its ability to survive like a stubborn weed growing in the cracked and barren political soil of one of the world’s most failed states. With virtually no help, Somaliland has earned the label of “emerging democracy” from Freedom House. Their three-party system is inspired by British parliamentarism and is a remarkable success of bottom-up grassroots political mobilization and organization. Together with Kenya, Somaliland is one of the only countries considered at least “partly free” in East and Central Africa. 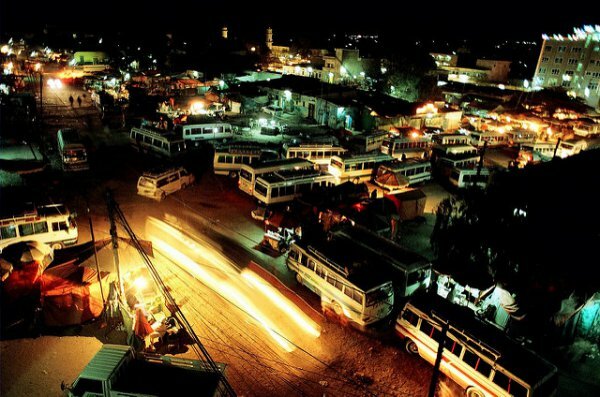 I lived in Hargeisa, the capital of Somaliland, for a year. It’s a blip surrounded by the empty lands of pastoralist herders, but home to bustling cafes and restaurants. Even though Hargeisa is legally isolated from the world, Somaliland cries out to be an open society. Last year, for the May 18 independence celebrations, I attended a banquet at the Ministry of Interior. Renditions of poems and songs complemented traditional dishes whilst politicians assured us that international recognition was, finally, within reach. This year, celebrations were tainted with sorrow due to the ongoing drought in the country, which has wiped out scores of cattle.